Daylight savings has arrived, and with that, we all know Summer is on the way! One of our favourite things about Summer in SA is chilling by the pool! Before you kick back and relax poolside you should consider if your pool is compliant. If you are considering selling or buying, a property with a pool, consider the following and talk to the friendly team at Tuckfield Conveyancing first. Pool safety is serious business and prior to settlement, pool must comply with the latest standards. Non-compliant pools can put the Vendor at risk of fines, of up to $15,000, ability for buyers to delay settlement, and exposure to costs incurred by sellers in rectifying the issues. If you are purchasing, it is astute to make it a condition of the contract that a certificate of compliance is produced prior to settlement. Making it a contract condition, gives you the capacity to enforce the condition prior to settlement. If you are selling, the best thing you can do is to have the pool inspected and certified as compliant before you go to market. Doing this means you will have arranged a certificate of compliance, you will be ready for settlement and will not face fines of up to $15,000. Whilst it isn’t a requirement to have pool or spa area inspected and certified as compliant, there are large risks if it isn’t carried out. The best way to ensure clarity is to make the contract subject to a compliance certificate being issued at settlement, the contract condition should be clear that unless it is handed over the Purchaser will be under no obligation to settle – potentially causing delays. In the event the vendor chooses not to get a certificate of compliance, they can elect to warrant the pool complies, but this does not absolve them from their legal responsibility and could potentially face legal action from the purchaser if the pool does in fact not comply. In the event a vendor chooses not to get a certificate, and further makes no warranties, they could be at risk of committing an offence if the pool is deemed non-compliant. Only private certifiers, carrying qualifications and insurance to perform such compliance certifications should be given the role of inspection and issuing compliance certificates. For all contract and property advice, vendors, vendors, purchasers and real estate agents should always consult one of our experts at Tuckfield Conveyancing to ensure proactive, professional advice and a smooth settlement. 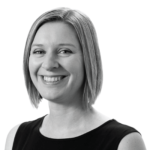 Have a question or require more information about Conveyancing? 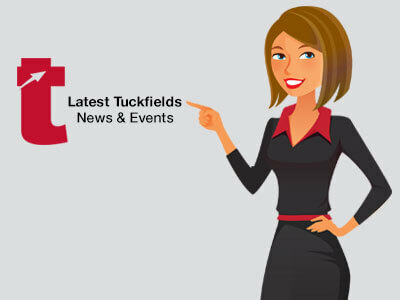 Contact Tuckfield Conveyancing, Adelaide’s Conveyancing specialists! Please note that the information contained in this article is of a general nature only and does not constitute legal advice. Tuckfields does not take responsibility for any errors or omissions obtained from the use of this information.